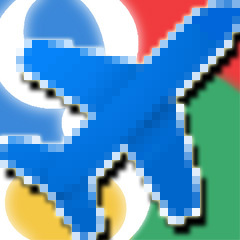 Google announced an expanded version of their Flight Search OneBox. 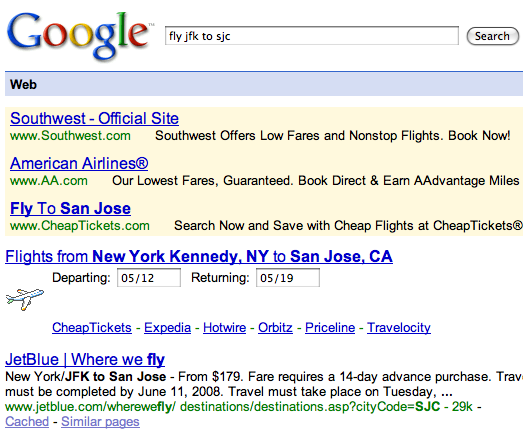 You can trigger it yourself by searching for flights to [city] or variations of it, such as [nyc to sfo]. It is significantly different from the previous version. I have a screen shot of the old version over here which shows hyperlinks to travel search engines for your query. 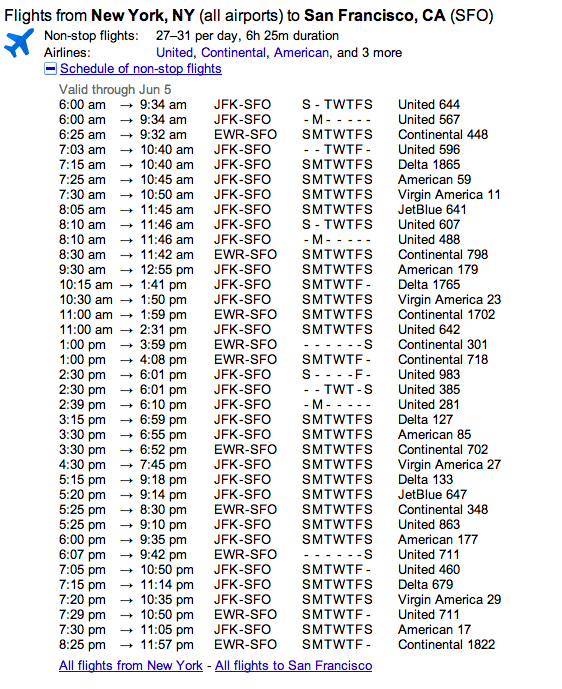 This new method simply shows the available flights, times and airline and links you over to the airline's web site. Google also gives you the option to see all flights to a location or from a location, without entering in the other destination. Google said they hope to expand this onebox in the future and hinted that it will be possible because of their ITA acquisition, however this specific OneBox has nothing to do with the ITA technology they have - at least currently. Forum discussion at Google Web Search Help and DigitalPoint Forums.